Tough Challenges. When Jill recognized that the crazy-busy work environment was wreaking havoc with sellers, she immersed herself in the issue till she discovered new strategies that worked. The result? SNAP Selling, her highly acclaimed new book that jumped to #1 on Amazon within hours of its release — and continues to be a top seller. Big Issues. Jill’s initial book, Selling to Big Companies, addressed a major sales problem that continues today-how to set up meetings with prospects who’d rather avoid salespeople all together. Fortune named it one of eight “must reads” for sellers, along with How to Win Friends & Influence People, The New Strategic Selling and Getting to Yes. It’s also been an Amazon Top 25 sales book since 2006. As a business-to-business sales expert, Jill’s ideas and insights are ubiquitous in multiple forums, both on and offline. Widely read. Jill’s newsletters are read by 100,000+ sellers worldwide. In addition, she writes a popular blog that’s been syndicated on numerous business and sales websites. Frequently quoted. Jill expertise is frequently published in top business media such as ABC News, Success, Inc., WSJ Start-Up Journal, Entrepreneur, New York Times, Business Journal, Selling Power, Sales & Marketing Management as well as countless online publications and radio shows. Sales guru status. 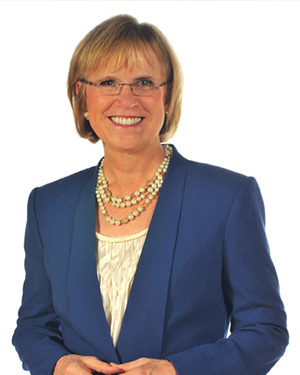 Jill’s expertise has been cited in numerous books: SMART Calls, Masters of Sales, The Contrarian Effect, Smart Selling on the Phone & Online, Top Dog Sales Secrets, Get Clients Now, Lead Generation for the Complex Sale and many more. Jill’s passion for sales was ignited at Xerox Corporation where she was frequently recognized for superior performance as both an account executive and regional sales manager. She then moved into computer sales and immediately became the International Rookie of the Year and a consistent top performer. Her joy in selling, combined with an innate ability to teach, led her to present countless training programs for colleagues, create a myriad of sales tools, coach dozens of trainees and to work on new product launches – in addition to her sales job! This was the impetus for starting her own business. In 1987, she launched Leapfrog Strategies, Inc., a sales effectiveness consultancy, that focused on helping companies shorten time to revenue on new product introductions. Using her unique strategies that closed the gap between Sales & Marketing, her clients were able to launch faster, capture their window of opportunity and gain significant market share. Everything was going great till 2000, when her two biggest clients came under pressure from Wall Street to deliver better results. All consulting contracts were stopped mid-stream, effectively putting her out of business. This trigger event caused her to rethink how she wanted to use her talent and passion to make a significant impact in the next decade. Twelve years ago, Jill was a quiet, unknown consultant who did great work for her clients. Today, she is an internationally recognized expert who is known for her fresh sales strategies and game-changing approaches. Jill and her husband Fred share their home in White Bear Lake, Minnesota with Cali, the cat. Their daughter Katie, who writes a popular creativity blog called Get Fresh Minds, works for an innovation company. Their son Ryan works in the aviation field at Wings Insurance. In her spare time, Jill loves to travel, hike, do crossword puzzles, read (she suffers from ARD-Addictive Reading Disorder) and write. In addition to her work in the sales field, Jill launched the Get Back to Work Faster initiative to help job seekers. She’s a Founding Mother of Awesome Women, a nonprofit focused on creating a world in which “every woman’s voice makes a difference.” She’s also an active member of the National Speakers Association where she helps new speakers grow their business.